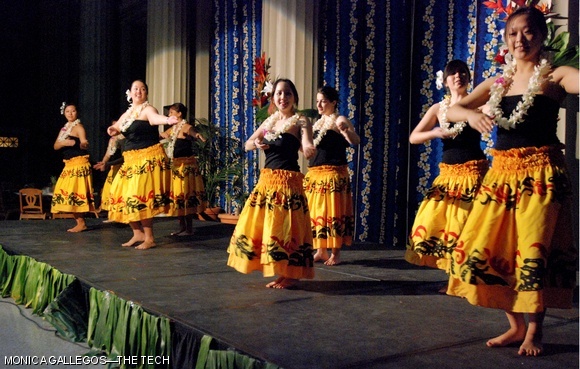 Dancers (front row, left to right) Danwen Chen ’09, Melissa Dullea ’00, Tiffany L. Yee ’10, and Hannah J. Hsieh ’09 are seen performing at the MIT Hawaii Luau event in Walker Memorial on Friday, April 4. The event was interrupted due to a faulty heat sensor that set off the fire alarm twice. Each time, the guests were forced to wait outside for half an hour until the fire department arrived and shut it off.